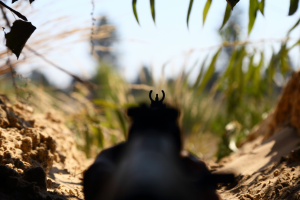 Militants launched five attacks on Ukrainian positions in the Joint Forces Operation (JFO) area in Donbas over the past day. 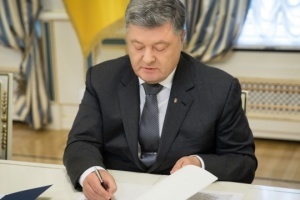 The weapons banned under the Minsk agreements were not used, the press service of the JFO Headquarters reported. 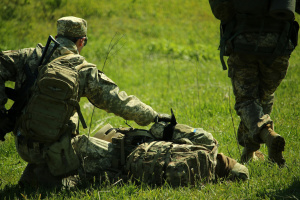 “The enemy used grenade launchers, heavy machine gun and small arms to shell Ukrainian troops near Vilne (70km south-west of Donetsk), Novomykhailivka (28km south-west of Donetsk), Marinka (35 km south-west of Donetsk), Krasnohorivka (29 km west of Donetsk) and Hnutove (19km north-west of Mariupol),” reads the report. According to the intelligence, one invader was killed and one more was wounded on January 6. 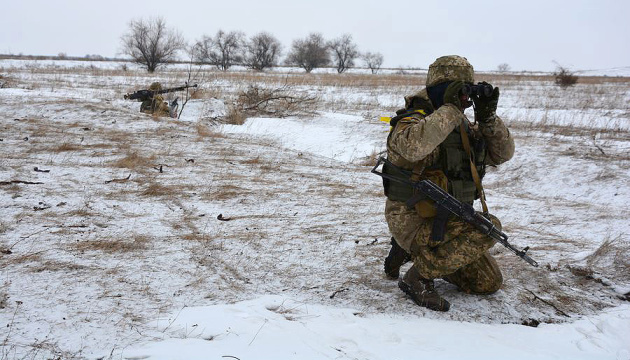 Despite the deterioration of weather conditions, the Ukrainian soldiers continue to reliably control the actions of the enemy along the contact line, while fully adhering to the ceasefire.